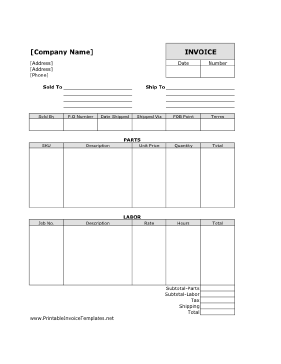 A printable invoice for parts and labor. It has room for shipping information, unit prices, rate, and more, as well as a box in which to note the date and invoice number. It is designed in portrait orientation and does not have lines. It is available in PDF, DOC, or XLS (spreadsheet) format.